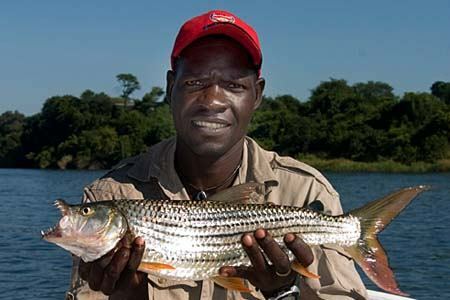 In Africa fishing industries have long played a major role in commerce and in daily life. As early as the 1400s, dried, smoked, and salted fish were sold along trade routes that linked West Africa and the Sahel. By the 1500s commercial fishing was a significant industry. Fishing has also been a major source of food. Most Africans eat very little meat, because livestock are scarce and expensive to raise. Fish provides a large part of the animal protein in their diet. Today millions of Africans work in the fishing industry. Most of the continent’s catch comes from sub-Saharan Africa. However, MOROCCO also has a major fishing industry. Africa’s marine fisheries can be found along the Atlantic coast of West Africa and the Indian Ocean coast of East Africa. The Atlantic fisheries stretch all the way from the Strait of Gibraltar in the north to the tip of South Africa. The best areas for fishing are those where the water is rich in plankton, tiny organisms that are an important food source for fish. The nutrient-rich waters of some ocean currents, such as the Canary, Guinea, and Benguela currents, provide excellent fishing zones. In the Indian Ocean, the richest fishing grounds are located near coral reefs. The catch along Africa’s western coast includes sardines, tuna, mackerel, hake, octopus, grouper, and snapper. Shellfish, crustaceans (such as lobsters), and turtles are also harvested for local use. The Indian Ocean provides tuna, sardines, various reef fishes, sharks, and shrimp. Inland fisheries exist throughout sub-Saharan Africa. Most are on lakes, rivers, or other freshwater environments. Major inland fishing grounds are found in NIGERIA, IVORY COAST, ZAMBIA, KENYA, CONGO (BRAZZAVILLE), GHANA, CONGO (KINSHASA), TOGO, MADAGASCAR, and SUDAN. Most of Africa’s lake fisheries are located in the East African Rift Valley. Since the 1890s the number and diversity of fish there have steadily declined. However, more than 30 varieties of fish are raised on fish farms. Many fish farms consist of small ponds ranging from 1,000 to 10,000 square feet. These may be used for subsistence farming or for small-scale commercial farming. Larger, privately owned commercial fish farms range in size from 5 to 75 acres. Many of Africa’s fishers produce food mainly for their own use or sale within the region. Relying on local technologies, they work long, hard hours during certain seasons of the year. The members of a family or community often work together. Whether fishing inland or on the ocean, most small-scale fishers use wood dugout canoes, hooks and lines, and various designs of traps and nets. Because many fish migrate or travel to breeding grounds at a specific time of year, fishing is highly seasonal. To continue earning a living throughout the year, fishers follow migrations and the movements of ocean currents along the coast. They often travel great distances and must preserve their catches. Because many areas of Africa do not have reliable refrigeration, people preserve fish by other methods, such as salting, drying, or smoking. Small-scale fishing involves a systematic division of labor. In marine and lake fishing, many workers are required to drive fish into nets, cast and haul wide nets, paddle and work on canoes, and to quickly process the catch. Large family and community groups often perform these jobs. Traditionally, only men fish on the open sea or large lakes. Women are usually responsible for processing and selling the fish. Both men and women may collect shellfish, crustaceans, and urchins found along the shore. In areas with inland fish farms, women usually manage and work the ponds, while men focus most of their efforts on crop farming. Although most of Africa’s commercial fishing industry is located along the coasts, some medium-sized commercial fleets exist inland. They work Lake Victoria and a number of other large African lakes, where Nile perch have been introduced. Most of the fish taken by these fleets is sold in Africa, but an international demand for Nile perch is growing. In contrast, the catch from Africa’s marine fishing grounds goes mainly for export abroad. Large fleets from Europe, Russia, North America, and Asia fish off the coast of Africa. Many fleets are based in Africa, but their owners are usually foreign. Spain, Russia, Japan, and South Africa claim the largest hauls along the western coast of the continent. Pakistan and India are the dominant fishers along the eastern coast. The catches are either immediately exported on airplanes and courier ships or processed aboard the fishing ship. There are a few large-scale commercial processing plants located in African ports. Like the big commercial fishing fleets, most plants are owned by multinational corporations, such as the tuna-canning facility in Tema, Ghana. Since 1983 most of the world’s coastal nations have claimed exclusive use of marine resources within 200 miles of their coastlines. Poor African nations, however, lack the vessels or military power to enforce their rights within the 200-mile limit. Throughout Africa both small-scale and commercial fishers are bringing in smaller and smaller catches. Many small-scale inland fishers have resorted to using dynamite and poisons to catch larger quantities of fish. Such methods damage both fish populations and fishing environments. Better management of Africa’s marine and inland fisheries is needed to protect these valuable resources for the future.